The 12 gauge has been around longer than almost any other firearm that is used extensively in modern times. Invented only a few years after the end of the Civil War, the 12 gauge has been helping militaries, law enforcement agencies, hunters, and sport shooters throughout the years, showing how incredibly effective it is. 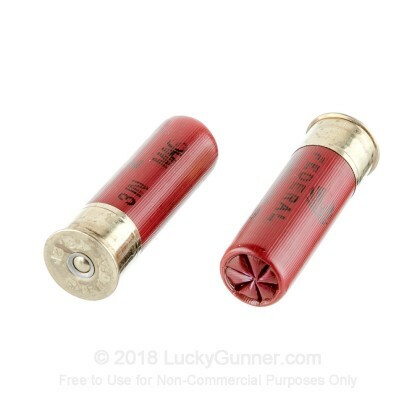 Whatever your close range needs are, the 12 gauge has you covered. 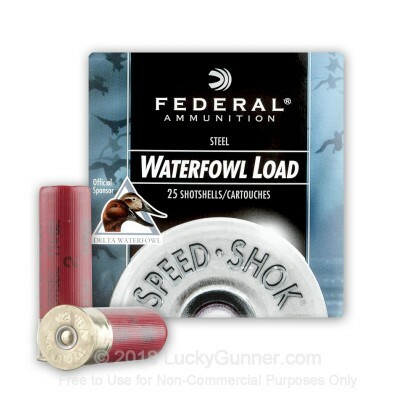 Since 1922, Federal has been producing high quality ammunition the sports shooters and hunters use and trust. 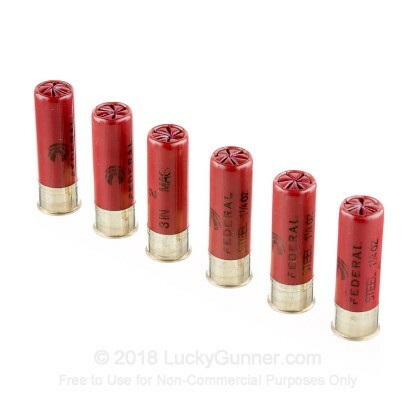 Headquartered in Anoka, Minnesota, Federal loads all of their ammunition with premium components in the USA. The Speed-Shok line is designed to give waterfowl hunters an affordable option for taking down ducks and geese. 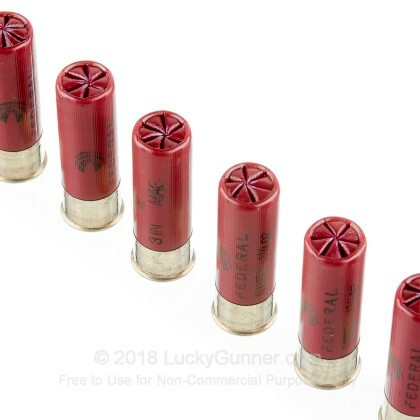 Each of these Speed-Shok shells measure 3" in length and carry a 1-1/4 ounce payload of #2 steel shot. 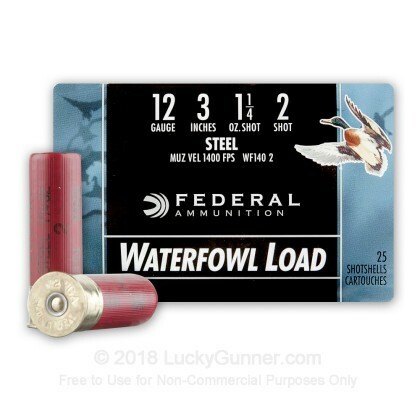 These shells utilize a high density wad with a gas-sealing flange for tight patterns and improved efficiency. 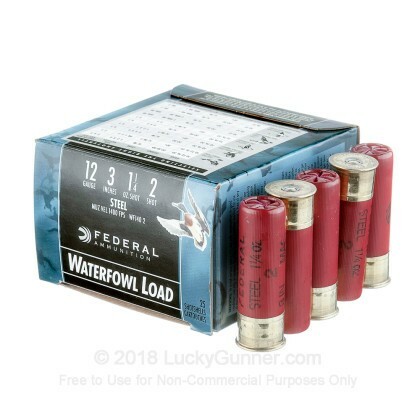 Don't miss a bird with this affordable waterfowl ammo from Federal.